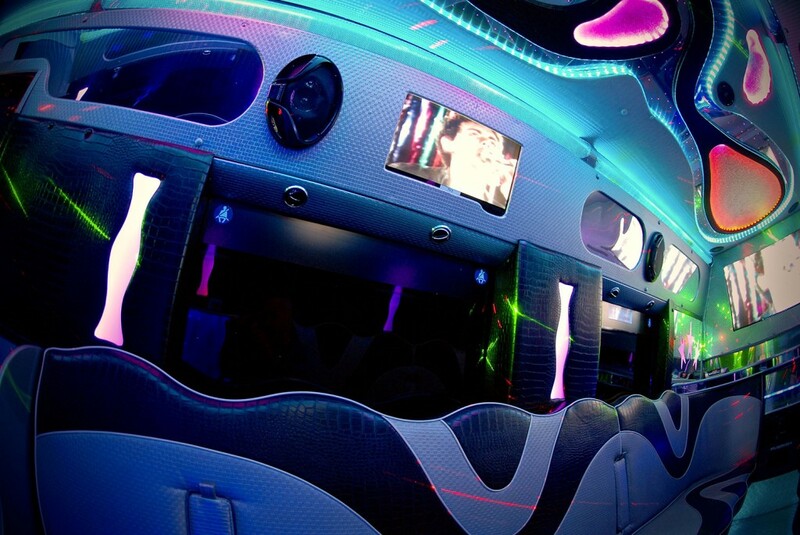 Here at 1st Class Limos we have a 16 seat Party Limo Karaoke Bus available for you to rent in the High Wycombe Buckinghamshire area; this is a full on karaoke party on wheels! This vehicle boasts a metallic, candy apple red exterior with tinted windows surrounded by blue opera lights, matching the under car neon’s. 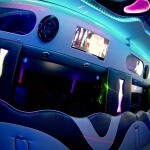 Inside of the Party Limo Bus, the seating is of black and silver leather with a glossy, snakeskin finish. 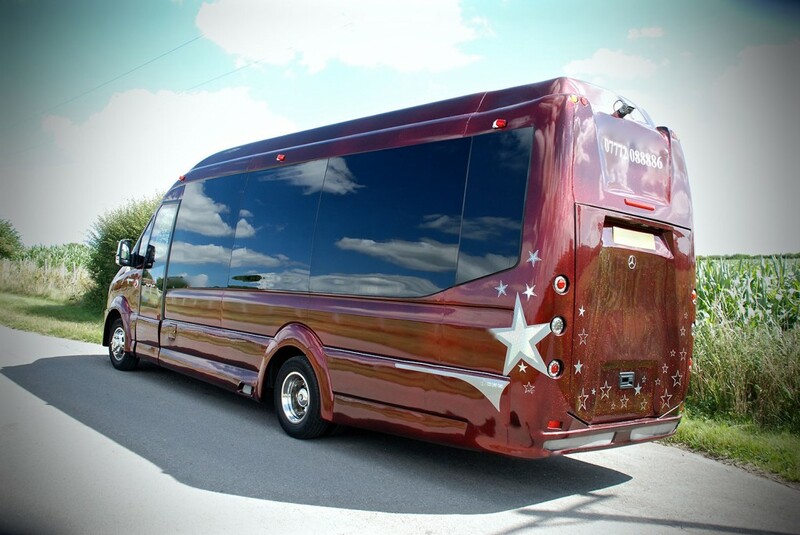 Our 1st class Party Limousine Bus has a top of the range audio system with available connectivity to Bluetooth and Apple devices and holds 4 TV screens throughout to watch the latest music videos or to sing karaoke! Not only this but there’s also 3x champagne bars, spectacular lighting displays across the full length of it’s mirror ceiling and multi-colour sound to light laser light shows! 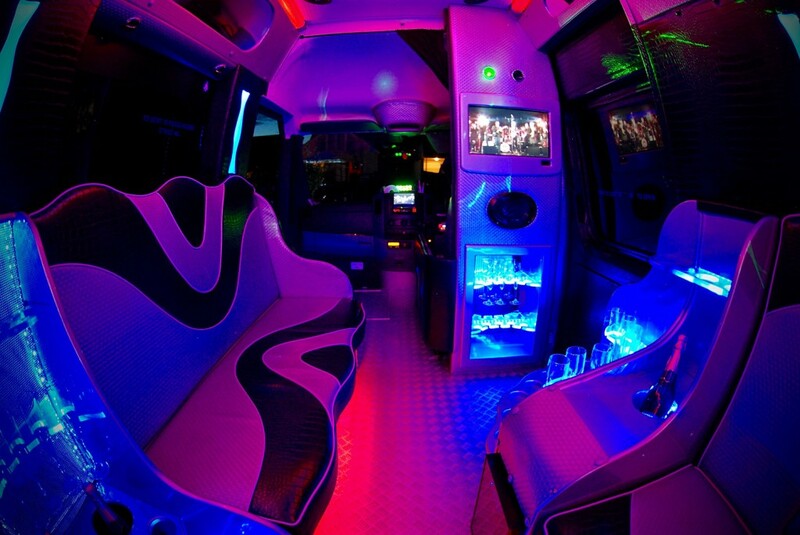 The 16 seats within our Party Bus are arranged opposite each other, making a great social atmosphere along with the karaoke system, which offers over 2,000 songs to keep you entertained along the way! 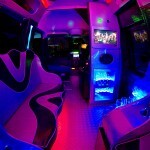 The Party bus is popular with all ages and groups! 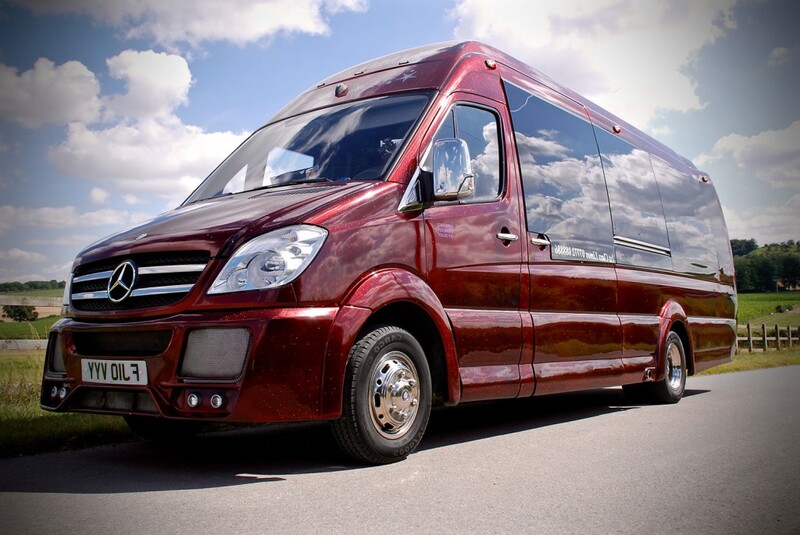 This limousine is available to book for all types of parties in High Wycombe Buckinghamshire covering any event from School Proms and leavers balls for all ages, kids and adults Birthdays celebrations, Hen and Stag Parties and airport transfers to most of the major and city airports in the South East area. 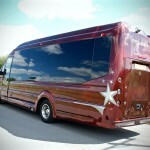 Sporting events are also popular in this vehicle such as Royal Ascot, Cheltenham gold cup, Newbury racecourse and many more. 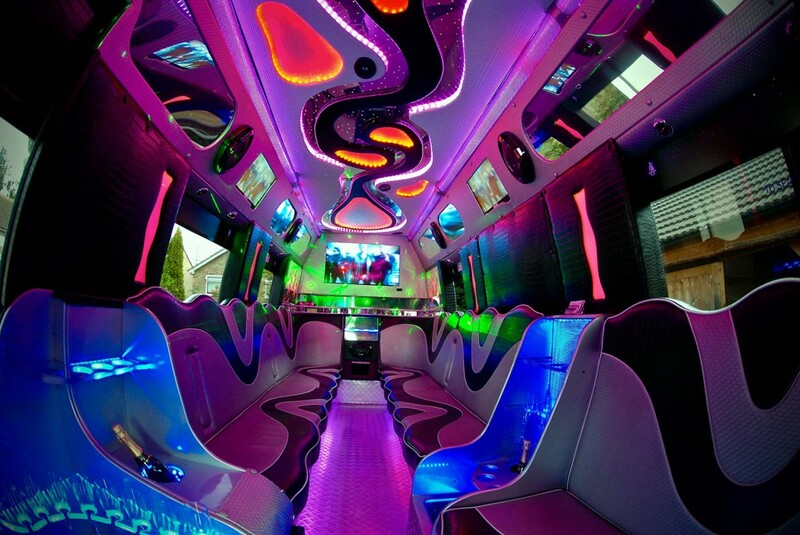 Let 1st Class Limos get your party started from the moment we collect you from your front door in High Wycombe Buckinghamshire, with bubbly on ice waiting to greet you and your party, playing your favourite tunes and experiencing a spectacular lighting display! 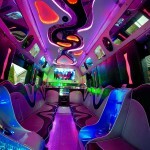 Our Party Limo Bus covers all areas in , Wiltshire, Berkshire, Buckinghamshire and Gloucestershire. There are also many popular places to travel to including London, Bournemouth, Brighton, Essex, Bristol, Cardiff and Milton Keynes. Have that peace of mind knowing that your transport is waiting at your out of town destination to bring you back home safely at the end of an amazing night! 1-hour local cruises and return trips are also available, whether you are planning a nice meal in an High Wycombe Buckinghamshire restaurant or a nice cocktail in one of our bars or nightclubs.